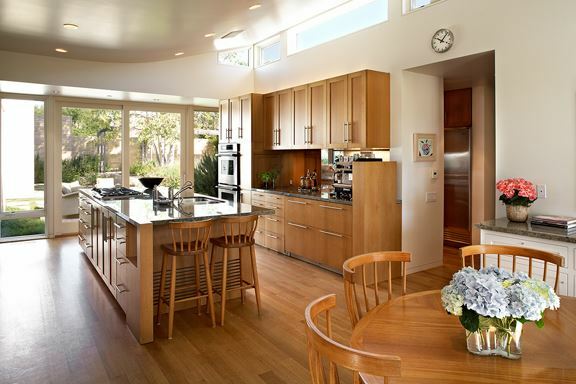 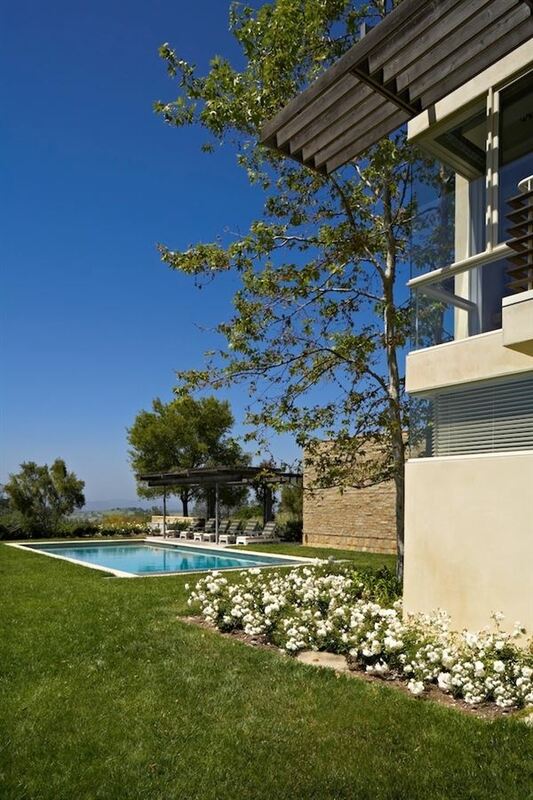 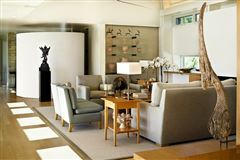 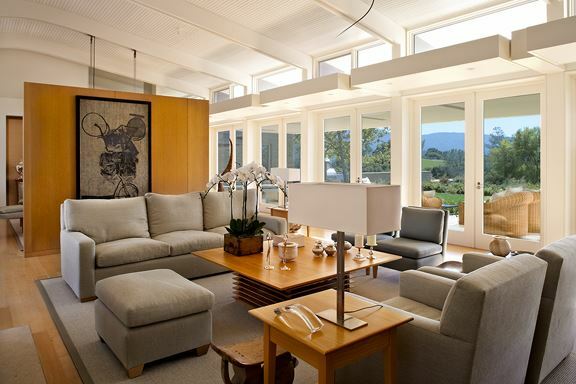 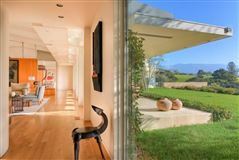 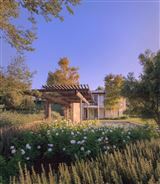 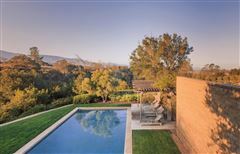 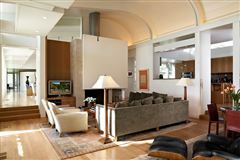 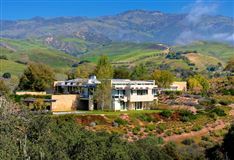 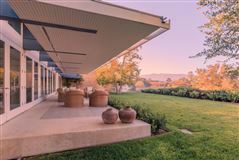 This architecturally-significant modernist house, designed by Michael Palladino of Richard Meier Partners (known around the world for such master works as The Getty Center, the Burda and Arp Museums in Germany, and the Barcelona Museum of Contemporary Art), is located in the wine country of the beautiful Santa Ynez Valley. 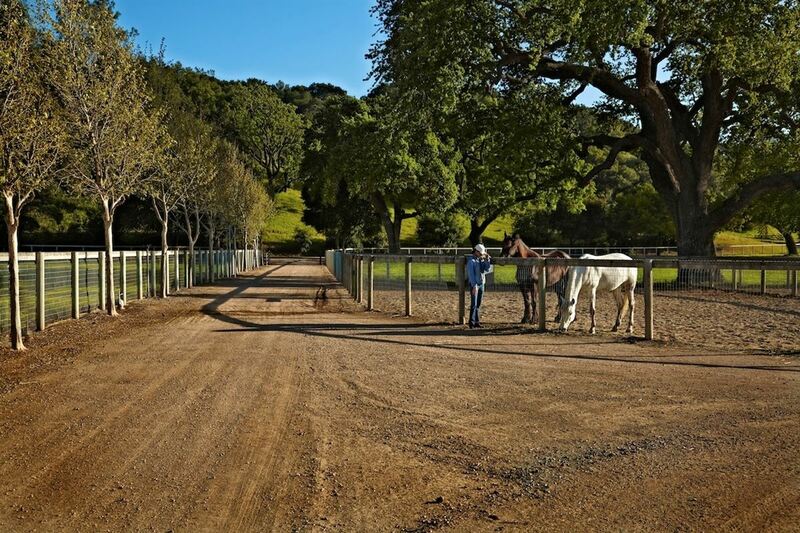 The 116+/-acre property features a large olive grove and contains picturesque riding trails studded with towering, mature Oak and Sycamore trees. 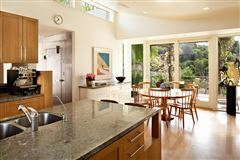 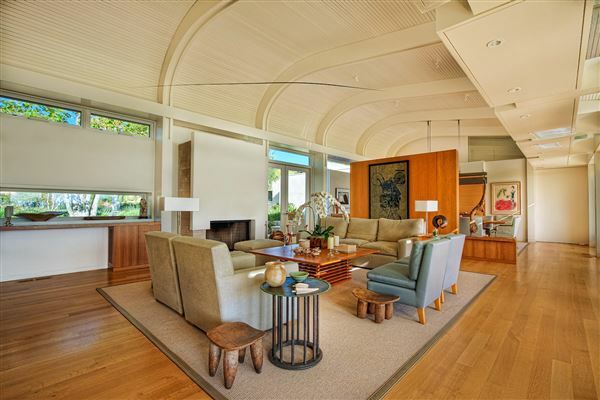 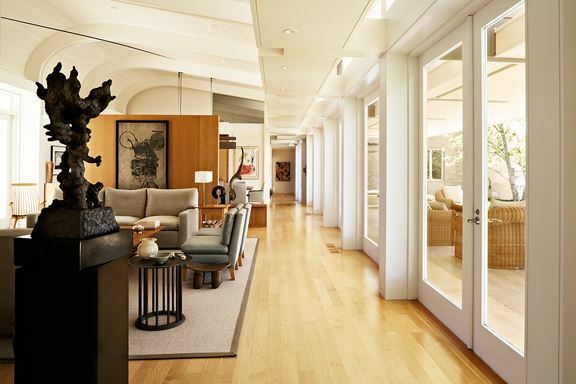 The main home, with dramatic views in every direction, is distinguished by a custom curvilinear ceiling, which spans the living, dining and family rooms, shaped as a wave from 14 feet at the highest point and ending in clerestory windows. 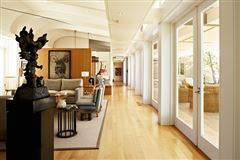 There is a fully-appointed eat-in-kitchen, private sitting room, office or library... ...exercise room, and solar-heated saltwater pool. 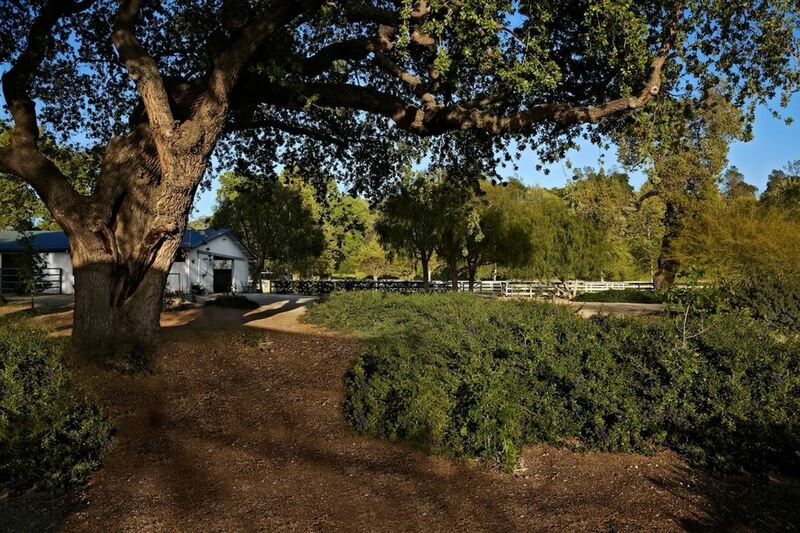 The estate's horse facilities include an eight-stall center-aisle barn set away from the main house and fully-equipped with a bathing and grooming area, tack room, laundry room and bath. 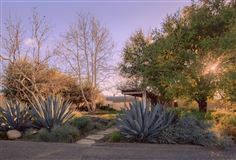 In addition, there is a large hay and equipment barn, an arena, track, paddocks, irrigated pastures and a two-bedroom ranch manager's home. 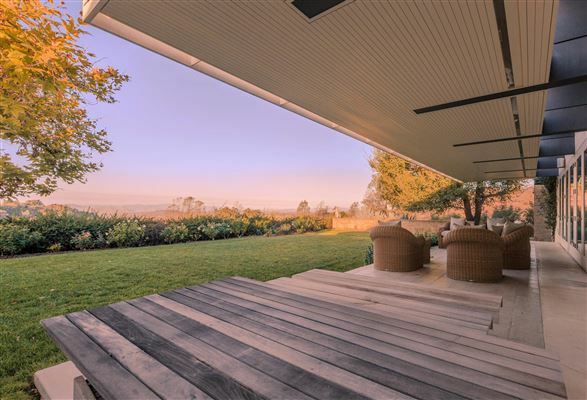 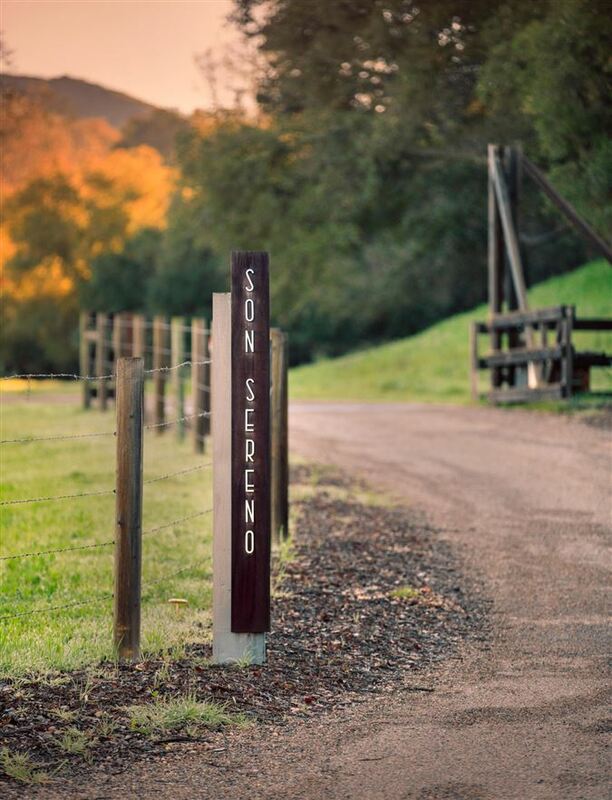 Located in one the toniest area of Santa Ynez Valley, surrounded by other 100 plus acre ranches and vineyards, this offering accomplishes the goal of merging art, architecture and the great outdoors.